I love this cream. It is very light. It does not control oil, but it also does not make my skin more oily. The only problem is packaging. Because it is in the tube I am always getting a bit more than I need. Wish they repackage it in pump. 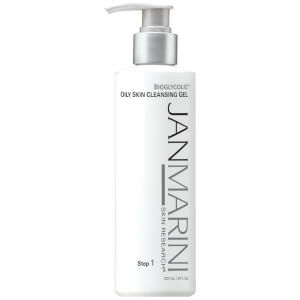 I've used Jan Marini products for years, one of them being the older version of this sunscreen. The older version worked very very well--this one doesn't provide any protection whatsoever. Not to mention the exorbitant price for what is nothing more than a lightweight moisture lotion. I'm not impressed with this over-priced sunblock. The smell is sooooo strong that makes me dizzy. When I first saw the size of the container?, I can say is laughable.Absorbs quickly however, I would not buy this again. I have been using this product for at least 15 years (if not more). It has kept both my face and neck protected from the sun rays. I feel it has helped enhance my skin. A co-worker just told me that my skin is flawless. Although I know my skin is not flawless--I know the antioxidants are doing the job. I am not a 30 year old. Far from it. This sunscreen works ok..it is fairly light, not greasy...but i expected so much more for the price. It didnt improve my skin any and the smell was way too strong, i could smell it all day. This is an excellent product. Does not make my oily skin greasy.Blends in well. Nice smell. Not like other suncsreens that leave a white chalky look. I will continue to use this. I do think it is pricey. This is a great product to layer under a light moisturizer since it doesn't provide much hydration on its own. Most facial products with sun screen are oily and tend to cause breakouts while this product is light and protects! However, for the price the quantity is a little skimpy. I've used a ton of facial moisturizers and this is my favorite by far. 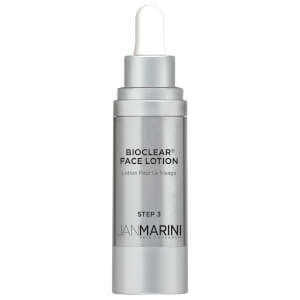 It moisturizes the areas that need it without making other areas feel oily. It's great under makeup and before exercise. I've been using this product for a few years, and I love it. Nothing AT ALL wrong with the product. It goes on great, lasts, protects my skin, no white face or flaking. BUT it's soooo expensive. I've been searching for another product for sunscreen, one that's more affordable. But, I can't find anything that is so wonderful as this stuff. I guess they price it so expensive because they know we'll have to come back. AND you can't buy this product with any discounts that skinstore.com offers---too bad!!!!! I would have given this 5 stars across the border, but the cost stopped me. Vivite' is also great, but not waterproof like this stuff is. I worked for a cosmetic dermatologist for a number of years and know the importance of sunscreen at every age and every stage. But I hate sunscreen as much as the next guy and even though I stressed its use to my patients, I was a hypocrite. I couldn't stand the heaviness and stickiness and used it only in Summer, at the beach or while gardening. Then I discovered Jan Marini! Lightweight, easy to use under makeup, and more like a refined moisturizer chock full of antioxidants. I now use this daily, even in Winter. But I noticed that the glass container with pump dispenser is no longer offered and the price has skyrocketed. $50 for a sunscreen! Alas, I will continue to purchase. I'm hooked!